At Guaranteed Garage Repair, we believe that our clients deserve only the very best service for the best prices. 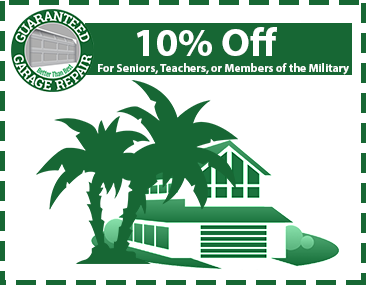 To do this, we pride ourselves on being a local garage door repair company in the area who can get to our clients quickly and who cares about the community. With more than 20 years of industry experience and an A+ Better Business Bureau rating, we are confident that we can install or repair your garage door in a way that will exceed your expectations. Whether you need emergency service or you are looking at replacing your garage door for aesthetic reasons, our full-time, fully certified team can take care of it for you! We love Port St. Lucie and the communities that surround it. From Stuart to West Palm Beach and further, our services have been providing homeowners with repair and installation they can trust from a name that has become Florida’s Top Rated Local® garage door company. It’s just that simple. 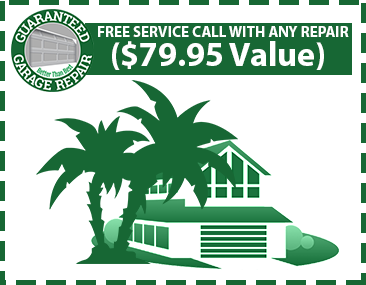 We are so positive in our team of professionals and our services that we have a 100 percent satisfaction guarantee for our garage door repair. After all, it’s in our name. If you aren’t happy with our products or our services, we’ll do our best to make it right, giving you a completely risk-free experience from start to finish. Learn more about our services or call now for emergency garage door repair in one of these areas. We’ll be there as soon as possible!